blueadt ~ >In the Pink! – Knitted two at a time cuff down. 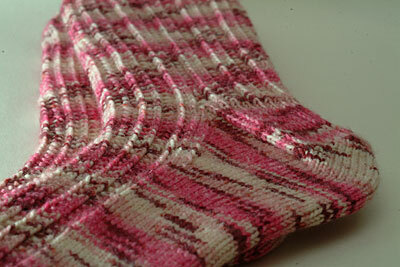 Separated after the heel turn & reunited after the gusset decreases. 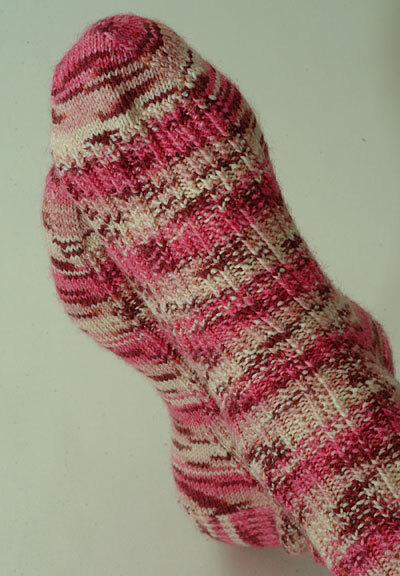 – All knit stitches apart from those on the sole were knitted through the back loop to make the stitch ‘pop’ out. 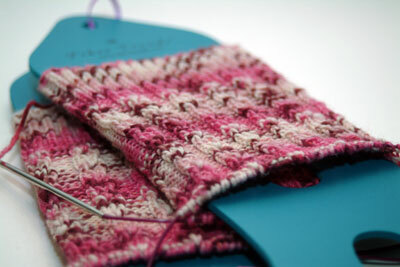 I originally started out making Waterfall Rib with this yarn but wasn’t happy with the combination of yarn & pattern so after 13cm of knitting on both legs I frogged it & started again. These socks seem to have been on the needles forever but during their making I’ve had a lot on with losing Blue, DD’s accident & more. 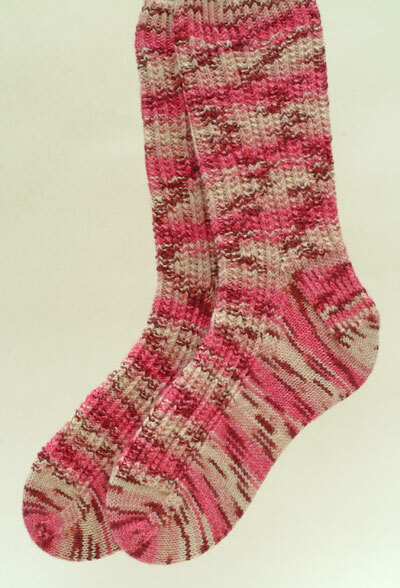 They are extremely comfortable & a perfect fit which is why I love making my own socks. Just what I’ll need for walking the dogs this winter! I love the way the KTBL does make the stitches pop! >They look fab! Great pics too. I haven’t tried that pattern out of SKS so I’ll have to go and have a look for it. >Very cute 😀 That looks much better, so well worth the wait. >Very nice! I love the stitch definition and the colorway as well. « >Where did my puppy go?